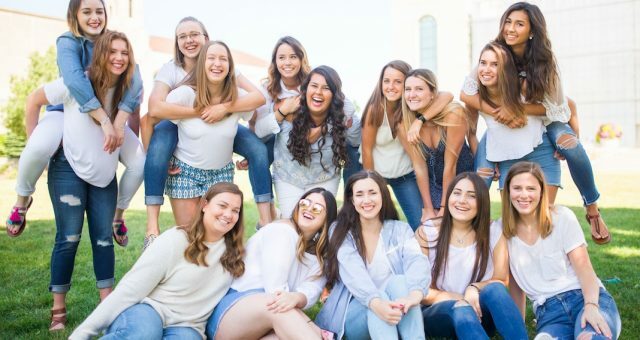 As Alpha Sigma Alphas we strive to find balance in our lives, but when it comes down to it, it can sometimes be the hardest value to live up to. What is balance anyway? The dictionary states that balance is “an even distribution of weight enabling someone or something to remain upright and steady.” To me, that means fueling my life in areas that allow me to feel fulfilled while still being able to complete nonnegotiable obligations. I work as a fifth grade reading and social studies teacher in a low socioeconomic area. I often find myself working outside the typical job description and beyond a 9-5. With only two hours a day for preparation and planning I find it so hard to leave when 3:30 p.m. hits. My to-do list often keeps me at school well beyond 6 p.m. cleaning, sorting copies, pre-writing notes, making stations and the list goes on. While this prep helps me feel upright in a sense at work by being prepared, the exhaustion causes me to wobble and falter. Mornings after working late my temperament is often short. I get annoyed with students talking and I even had a student ask me once “Are you ever happy Ms. LeGrande? You look sad all the time.” An innocent question from an eleven-year-old that in a single moment shook me to my core. I had been so focused about my obligations that I forgot to fill my own cup. One of my favorite ways to fill my cup is by traveling. On every flight, you are reminded to place the oxygen mask on yourself before you help others. A sentence many of us heard but never paid much attention to. , Yet it rings true in our lives. Balance means nothing unless you are able to BREATH and become steady. I never wanted to be viewed as the mean teacher I had become and to change I took a long hard look at my actions and needed a plan to find my oxygen mask. I realized by spending so much time at school I was pushing away those who I needed to spend quality time with who brought joy and added value to my life. I set aside one night a week where I stay late at school then make sure I spend time the rest of the week with people or on activities that bring me oxygen again whether that be a girl’s night, a yoga date, movie night with my boyfriend or even just lounging on the couch with my cat. I need these things and people to be the teacher I always dreamed of for my students. With that being said I have four tips and tricks to help you feel like you have it all together when juggling school, work, personal lives, etc. Prioritize. Make a list of all the things that HAVE to get accomplished that day and start from there. Find a method that works for you. Planners, journals, phone notes, calendar applications or sticky notes are all ways to keep track of your responsibilities. Do what make sense to you. I recommend color coding it by category so it is easy to follow and see how your day will play out. One bright color to highlight academic related things can help keep it at the forefront of your mind. It is ok to say no. You do not have to be a superhero! If your list is too long and overwhelming, adjust and say no to new tasks or the projects overwhelming you. Self-care is key. Remember to make yourself a priority on your list as well. Make sure you have time to do something to relax, recharge or enjoy each day to add the cherry on top of your now well-balanced schedule. Whether you want to be a better student, a better mom, a better sister, a better daughter or even friend always remember the key is found in a balanced life where you are able to put your own mask on first, because without it there is no way to help others breathe themselves.